Zimbabwe is a landlocked country in Africa, of 39 075 700 hectares, bordered by South Africa, Mozambique, Botswana and Zambia. 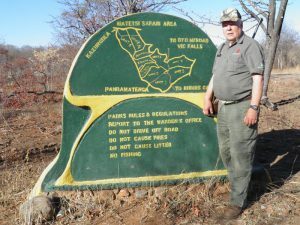 Altitudes range from around 500 metres in the northern Zambezi Valley to 1500 metres in the highveld and then slope down again to around 300 metres in the south-east Lowveld. Zimbabwe also has some of the world’s most ancient rock formations known generally as the Basement Complex. Large scale faulting in the distant past has been responsible for the creation of the Middle Zambezi Valley in the north and the Sabi Valley in the east. Zimbabwe’s climate is divided mainly into Summer and Winter. Summer is October to April when maximum temperatures average 32C and during which rains may be expected. Winter is May to September and average temperatures during the day are 20 Celsius, but can drop much lower at night. Very little rain can be expected at this time. Malaria preventative medicines are necessary in most of Zimbabwe, particularly in the big game areas in the Zambezi Valley and Lowveld. Please consult your own physician before coming to Zimbabwe. A pyrimethamine/dapsone combination drug taken once a week is generally used locally, and Chloroquine is first choice of malaria treatment in Zimbabwe. Bilharzia is present in many dams and rivers and it is advisable to make minimal contact with this water. However, Bilharzia is easily curable by Biltricide or similar medication. You will automatically be issued a temporary import/export permit for your firearms at your port of entry to Zimbabwe, Visitor’s certificate to posses firearms and ammunition, Zim declaration of firearms and ammunition. 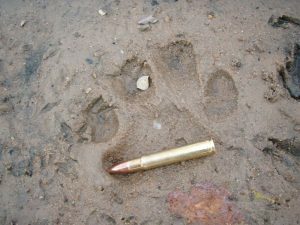 Automatic firearms are prohibited and it is inadvisable to bring semi-automatic firearms to Zimbabwe. A maximum of 100 rounds of ammunition per firearm is allowed. You will need to clear the firearms in RSA, so you will need to complete the RSA firearm import procedure. Please contact us for any more info and guidance.